Having hit on Black Mountain when their epic 2008 album, Into the Future, was a top pick at Piccadilly Records, this 2004 release sadly hasn't been in my collection of folky-proggy goodness from the utterly wholesome Canadians. 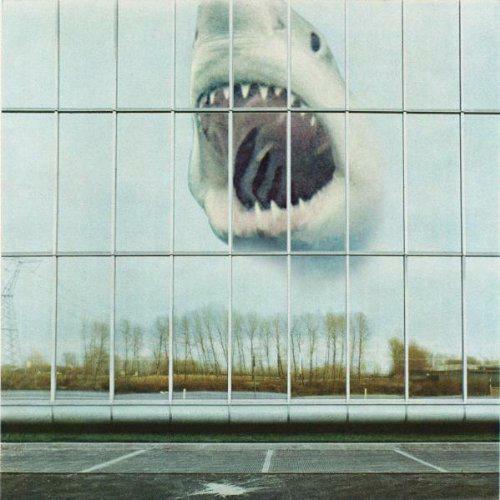 A creative collective from Vancouver, Black Mountain have mastered that sound of harking back to the past but at the same time sounding like nothing you've ever heard before. There is only a handful capable of it, Wolf People being another which springs to mind. This is melodic and ferocious music, with meaningful lyrics and heartfelt peaks and troughs through the tempos and timbre. It makes for wonderful listening. 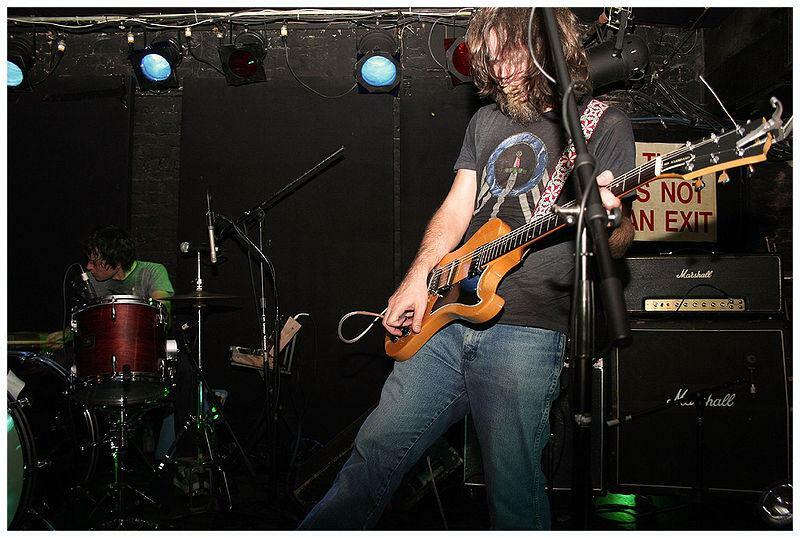 Band leader Stephen McBean said of their debut year: "Jerk With a Bomb was playing a show... It must’ve been 2003... 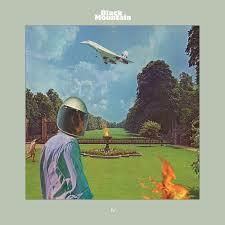 I had a dream that if we were called Black Mountain we would become an unstoppable rock ‘n’ roll force." Taking the name Black Mountain brought the somewhat fractured nature of Jerk With a Bomb to an end and the members to a new spiritual awakening, a new era of mellifluous meaning and harmony. The new band included Jeremy Schmidt and his heavily orchestrated keyboard parts, and thus the monumental futuristic hippy nature of the band was born. Recorded on a reel-to-reel tape recorder in the vacuous spaces of The Hive in Vancouver, this limited-edition anniversary release of their wondrous debut is an artistic adventure itself – all the justification ever needed for collecting vinyl. Shimmering foil print gatefold leads you into the mysterious, mountainous compendium of silver LPs (two of) holding the aural delights of the Black Mountain album, Drugonaut 12", and four unreleased tracks. 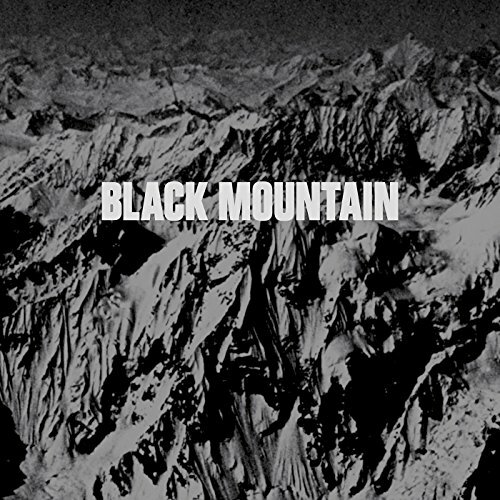 Black Mountain's music is a truly physical experience too – beyond head-nodding and foot-tapping, into joyful rushes and epic, swooshing hypnosis. 'Don't Run Our Hearts Around' has the booming rollercoaster nature of tracks found on Into the Future, the unexpected twists and turns, the fragility of Webber's voice before a huge guitar riff, then her screeching back in to compete with it. There are slightly broader tastes on this album. As it’s essentially their first release, they let every inspiration rip through. 'Drugonaut' starts with fuzz bass and a tempo to suit a 70s funk and soul hipster. 'Bicycle Man' and 'No Satisfaction' have a rock 'n' roll ramshackle early Stones feel. The name of the latter is no mistake methinks. 'Faulty Times' would sit well with The Doors and Grace Slick at Woodstock. Meanwhile, the dreamy, trancy prog of 'Buffalo Swan' holds something superbly emotional about it, as do most of Black Mountain's songs, heavy bass drifting to acoustic drama, the quivering intensity in Webber's voice offset with McBean's, high notes of organ whirrs and delicate instrumentals. This is a band who found the real meaning of their music at an enlightened moment, and it has come naturally – and beautifully – since. Drugonaut is such a great track. I still have this on steady rotation since the first release.